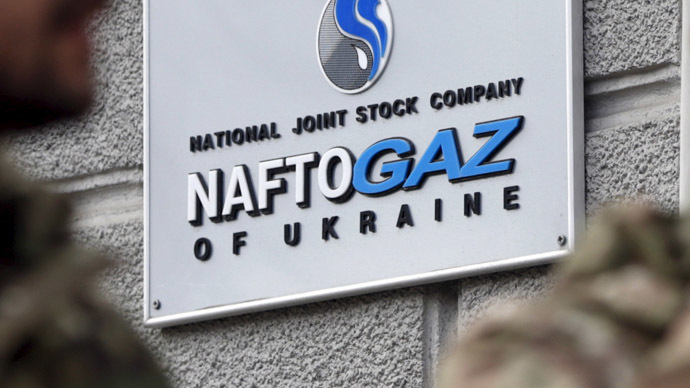 Gazprom has received an advance payment of $30 million from Ukraine’s Naftogaz to cover supplies of Russian gas until mid-April, according to Gazprom spokesperson Sergey Kupriyanov. "Today two payments from Naftogaz worth $15 million each were transferred to our transit account. The $30 million will remain on our current account till the end of the day," Kupriyanov told journalists on Friday. He also added that the sum was enough for 121 million cubic meters of gas, at the new price of $247.18 per 1,000 cubic meters. Russia’s Gazprom signed a new contract with Ukraine’s Naftogaz for deliveries in the second quarter of 2015 on Thursday. The deal represents a 25 percent discount on the price during the first quarter of the year when Ukraine paid Russia $329 per 1,000 cubic meters of gas. Gazprom switched Ukraine to a prepayment system for gas supplies due to Kiev's debt in June last year. In October, Moscow and Kiev signed the so-called ‘winter package’ agreement securing gas supplies to Ukraine until March 2015 and guaranteeing a $100 discount per 1,000 cubic meters. The deal expired on Tuesday but Russian President Vladimir Putin and Gazprom CEO Aleksey Miller said that Russia would extend Ukraine’s gas discount through the spring months. On Wednesday Prime Minister Medvedev signed a decree enabling Kiev to continue with its $100 discount , but only as long as Kiev continues to pay its debt obligations.